1. Any Ancient Spineclaw killed, when it respawns has a chance to spawn as the Monstrous Spineclaw. 2. ONLY the Monstrous Spineclaw can drop the Spineclaw Crab pet. 3. 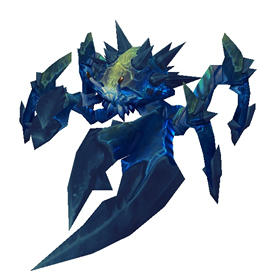 The Spineclaw Crab pet has a drop rate from the Monstrous Spineclaw of 1.8% per Wowhead (6/19/2014). 4. The "chance" that a Monstrous Spineclaw will spawn in place of an Ancient Spineclaw is the same as the other rare timers, every 24 - 64 minutes (same as Houlon. Note that this drops from a rare spawn crab, not from the regular elite crabs found all along the shore. While researching how to get this pet I found someone else's strategy for it that worked beautifully. The best way to make the Monstrous Spineclaw spawn is to kill all of the Ancient Spineclaws along the Southern Coast. I followed the path from the Alliance camp East to where the frogs are. My results were as follows: I ran this path 7 times, and on 4 of them I had the spawn. This took maybe 40 minutes. The previous hour I spent killing crabs by the Horde camp and I didn't have one spawn. Farming the Spineclaw Crab can be quite frustrating. Best farming spot: The shore just south of the Jademist Dancers and north of the Horde camp. Seven Ancient Spineclaws spawn around there. Helps to use Scuttler's Shell. Monstrous Spineclaw spawn rate: Any Ancient Spineclaw can spawn as a Monstrous Spineclaw instead. I'd say about a 1/100 spawn rate (No data to back that up). Spineclaw Crab drop rate: Wowhead says 1.7%. Other Timeless Isle rares seem to drop pets at 3%. I absolutely love this crab (P/P) and the Emperor Crab (P/P), both have 357 attack power and murder critters & elementals. Rip+SC+BitW=Elemental Destroyer. Tripple Snap=Critter Destroyer (altough rip is also good vs critter). Wow. I feel it can only be due to the limited number of people actually having this pet that it isn't higher rated. By now I've collected at least 13 out of the 20 most powerful pets according to this site, and my P/P Spineclaw Crab still tops them all. Rip (attack + powerful dot), Healing Wave (tends to go for 550+ every 3 rounds) and Blood in the Water (hits for 750+ every three rounds) just annihilate whatever is in the way. Plus, it has amazing aesthetics as well. This may end up turning into a Holy Grail type of pet. I am very ready to buy one for up to about 10k on my AH, but there has not been one up on the AH in almost 2 months! 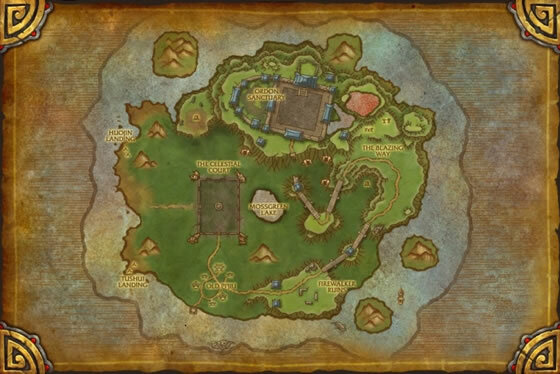 Now that Timeless Isle is pretty much a ghost town, one can only hope that somebody who got this when it was still current needs some money and puts it up. I have seen the prices steadily rise on Undermine Journal, and now the going rate is about 25k and I can see it only going up from there. I feel like this pet would be rated much higher if it weren't so taxing (Or expensive) to obtain. The P/P Spineclaw Crab can decimate Elementals with its ridiculous Blood in the Water and heal for nearly 600 Health with Healing Wave. It is easily capable of soloing Farmer Nishi's entire team and is my go-to hard counter against Elementals in PvP. On my 2nd Monstrous Spineclaw kill the Spineclaw Crab dropped near where the Jademist Dancers spawn. I must be extremely lucky to have gotten him so easily after reading some of the comments below. He must be extremely rare since the average sell price accross all realms is over 500,000g. Good luck to all who are still seeking this pet. Jezzz... 113 Monstrous Spineclaw Kills so far and still NO PET!!! worst RNG pet ever!! Whelpling farm is a walk in the park compared to this. The price of this pet is 450k+ (alot right?) but i think it should cost way more because the grind is so bad and frustrating. Hope it drops soon, or i'm just paying the price for it. Be prepared for a long grind. It took me 87 Monsterous Spineclaw kills before the Spineclaw Crab finally dropped for me. It appeared to me that the Ancient Spineclaws have about a 1% chance to spawn a Monsterous Spineclaw and I'm gessing the drop rate for the pet from a Monsterous Spineclaw is about 1%. I killed the Ancients from just south of the Horde Flight path to just before where Zesque spawns. I could kill 21 Ancients and then go back to the start and do it again. Just bought one on AH for 1000g. I think there was someone who didn't know what it was worth as it was the only one on AH. Just my luck as I've grown tired of farming for it. I think that now that WOD has hit and not that many of the MOP pets will be on AH, it is a good time to look for bargains like this where people don't know how to price the pets as there are no others on AH. So when I am killing spineclaw crabs, does it have a chance to spawn where I am killing them or anywhere that spineclaw crabs can spawn on the island? I got lucky on Proudmore server. It showed up while I was wondering around. OMG!!! This one is Sssoooo elusive! I only saw it spawn once, and b-4 I could get a hit in some other person jumjped in and killed it before I could get a hit. :( Been killing these crabs 24/7 and haven't even seen the monstrous spawn again never mind get a pet from it!!! one could only hope the drop rate was 1 in 58................................................. I'm about 150-160 kills deep right now & no sign of a spineclaw, guess I'll down 150 more! Spineclaw crabs of Pandaria have existed for thousands of years and remain one of the continent's oldest creatures.